Phoenix Army Recruiting Battalion supports local area high schools with high energy pep rally style assemblies! 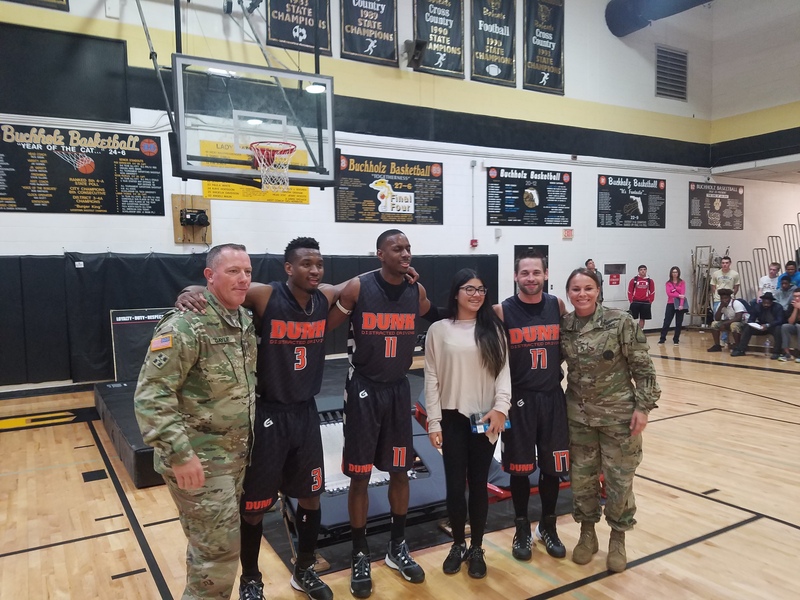 U.S. Army High School Assembly tour returns to the Phoenix area in March, featuring the popular DUNK Distracted Driving program. Stay tuned as additional High School locations and dates to be announced in the coming weeks! DUNK Distracted Driving™ – combines dynamic basketball performers along with an educational and informational message on the dangers of distracted driving. Whether it is texting, talking with friends or driving under the influence, inexperienced teenage driving accounts for a majority of accidents in the United StatesCheck out local TV news feature here!